Face Filters in Live Video. Experience true augmented reality on your smartphone! 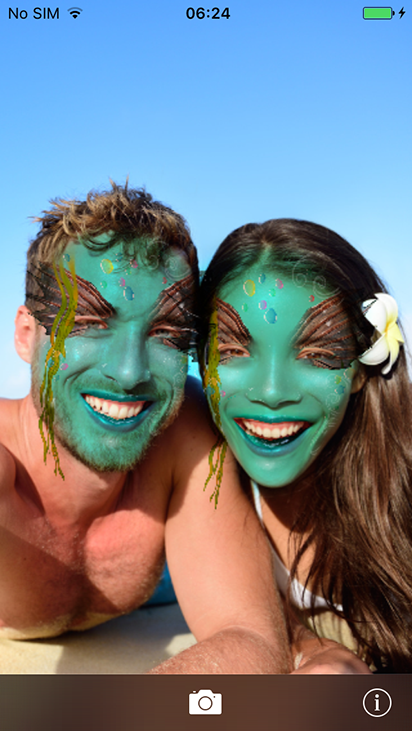 Youmask is an innovative app that applies live filters to your and your friends faces as you look into your phones camera in real time. Having a party? Processing multiple faces at the same time, Youmask is pure fun in any company! Turn your smartphone into a magic mirror! Youmask will turn your reflection into a living zombie, pierce your face or add striking makeup, make yourself look younger or older, or apply masks of our own invention that dont even have a name of their own. The app has more than 40 masks now, with more on the way! Swipe left and right to change the filter.